Businesses are expanding and extending beyond borders and this has enhanced the demand of translation and transcription services all over the world. A rapid increase in the requirement has also increased the number of such services and freelancing units in the market. 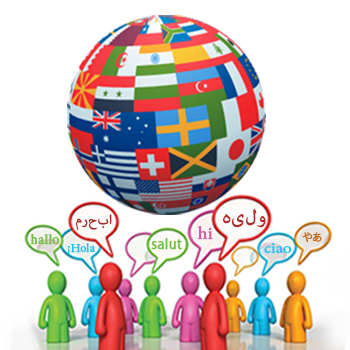 Therefore, it becomes very important that you select the right translation service for your work to be done. All of us are aware that when it comes to quality and timely work done, we can rely on reputed professional services only. There are many reasons behind this. Some of the prime ones are mentioned here. Dealing with professional translation and transcription services will save you from worrying about the quality of both, translation and service. Here, you are not working with an individual because a team of qualified, well-educated, skilled and committed professionals are working together. Your project will be taken care of by the experts at different levels which ensure that the file delivered to you would be of high quality and seamless reproduction. Using a translation and transcription service like Shan Singapore, you can stay assured of absolute professionalism. There are specialized translators in various fields and they provide you top quality of service maintaining the extremely strict translating process. The company will make sure that the project is handed over to the translator that matches with your needs and has the expertise to keep up with your domain’s expectations. Experience matters a lot in translation and transcription work. A professional service provider like Shan Singapore has linguists working for them and they have many years of experience in this field as well. The agency can even advice you on best translation setup and also help you understand your customers and global market better. A translation and transcription service has large resources and so you will have your work done by an expert and as fast as possible. Some of them even have a turnaround time of 24 – 48 hours. In addition to the above reasons, people choose translation and transcription services to get the right consistency of language. They help in language standardization and control. Above all, along with high quality, you get faster output. After all these, there might be some questions in your mind. So, get in touch with Shan Singapore and have all your problems solved.